The Ashmolean museum in Oxford is just one of the delights of this brilliant city of learning. One of the unexpected exhibits is the gallery of Egyptian mummy's, some of which include elaborate body wrappings and painted portraits (HERE). In addition there is a mummy of a 2 year old boy. Next to the mummy and about life size, is a fantastic glass sculpture artwork by Angela Palmer. The 2000 year old mummy was scanned with a CT scanner to create a full 3D data set. 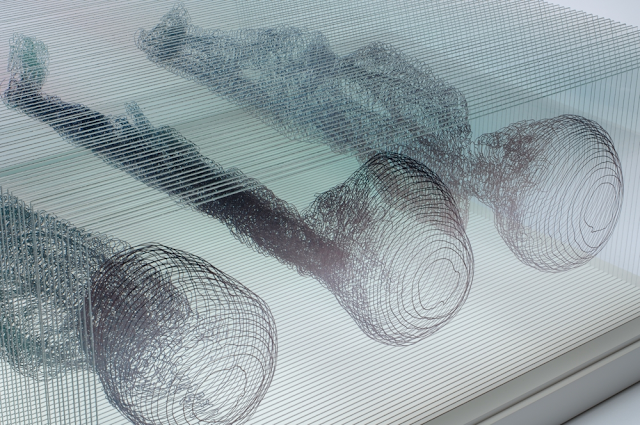 Palmer then created a physical representation of this virtual data set by tracing details from the 3D data set onto a set of 111 sheets of glass. The sculpture now sits near to the boy and is a permanent part of the exhibition. The technique of drawing contours on parallel sheets of glass that Angela Palmer uses was inspired by her seeing the work of Nobel prize winning crystallographer Dorothy Hodgkin-Crowfoot. 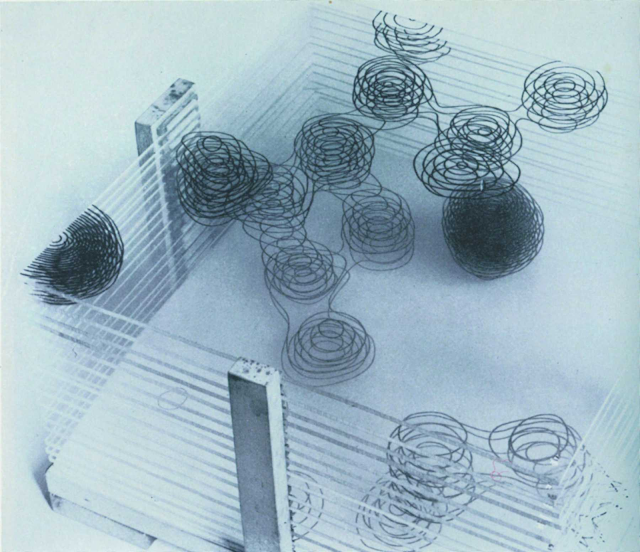 Below is an image of her work created in the mid 1940's (from HERE). An original of this artefact is in the Oxford Museum of the History of Science (HERE). From the 1949 penicillin monograph published by Princeton University Press. A photograph of electron-density contours drawn on sheets of perspex showing the thiazolidine and beta-lactam of potassium benzylpenicillin. Owing to the urgency created by the `extreme importance of penicillin as a military weapon' in WWII, determining the crystal structure of penicillin involved the first crystallographic use in Britain of a Hollerith computer; with Dorothy Hodgkin-Crowfoot as lead crystallographer and with Leslie J. Comrie's Scientific Computing Services Ltd developing the computing methodology. Its white foot tripped, Then dropped from sight.